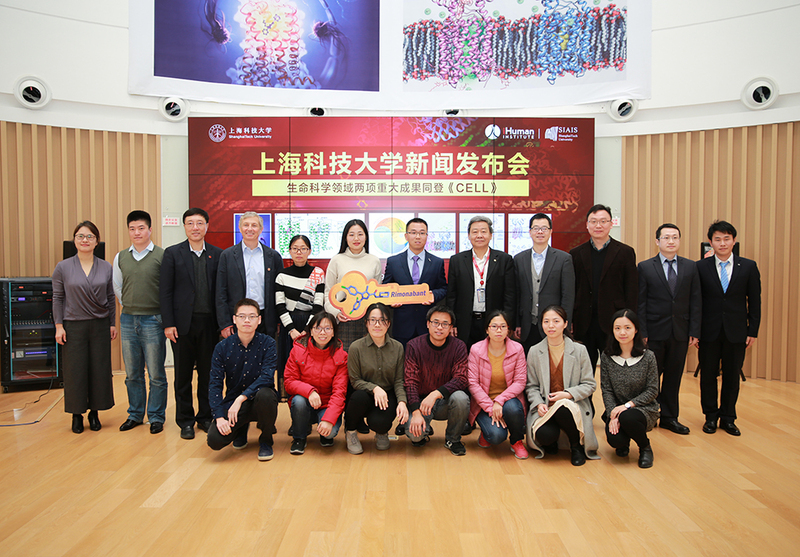 On January 25th, iHuman Institute and Shanghai Institute for Advances in Immochemical Science (SIAIS) held a joint press conference to announce the simultaneous publishing of two important research studies in the same issue of the prestigious Cell journal. 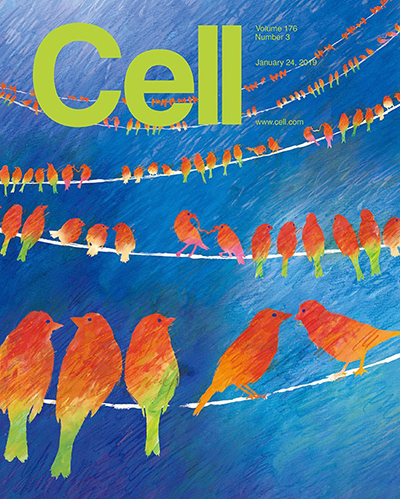 Having two research studies in the same issue of a journal is rare, said Distinguished Adjunct Professor Rao Zihe, one of the co-corresponding authors. Founding iHuman Director Ray Stevens emphasised that teamwork and collaboration is an important value for both iHuman and SIAIS research. The two institutes are located in the same building and frequently carry out cross-disciplinary collaboration. 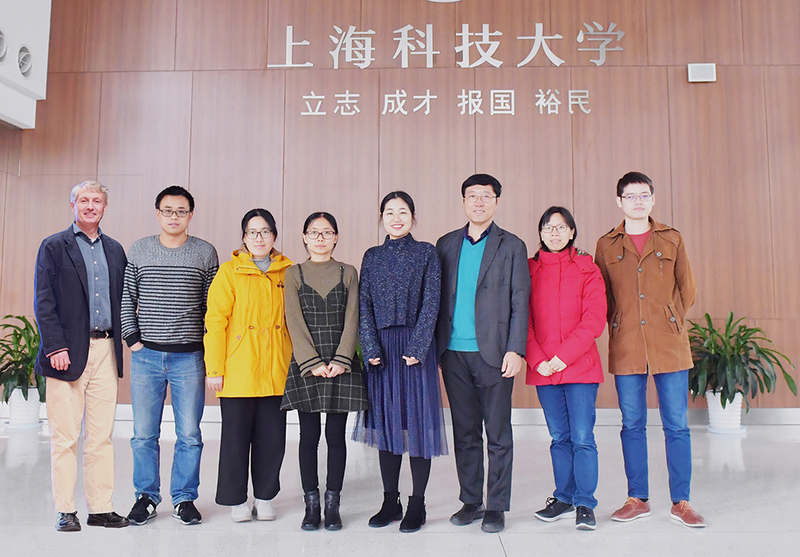 The first authors of the two studies both are PhD students in the first class jointly cultivated by ShanghaiTech and Chinese Academy of Sciences. The two research studies share an interesting commonality, explained iHuman Institute Executive Director Zhi-Jie Liu. 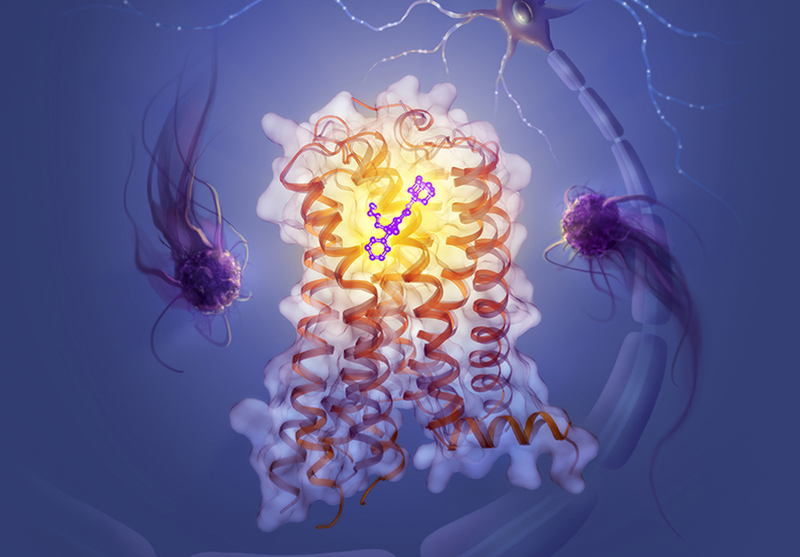 Rimonabant, an antagonist for human cannabinoid receptor CB1, which an iHuman Institute team had published the structure of in Cell before, was also found to be an inhibitor of MmpL3, a mycobacterial protein that was the subject of the SIAIS study. Cannabis sativa L. has been had medicinal, religious and recreational uses for centuries, and there were a large number of records on the medicinal uses of cannabis in the traditional Chinese medical books such as Shennong Herbal Classics and Compendium of Materia Medica. 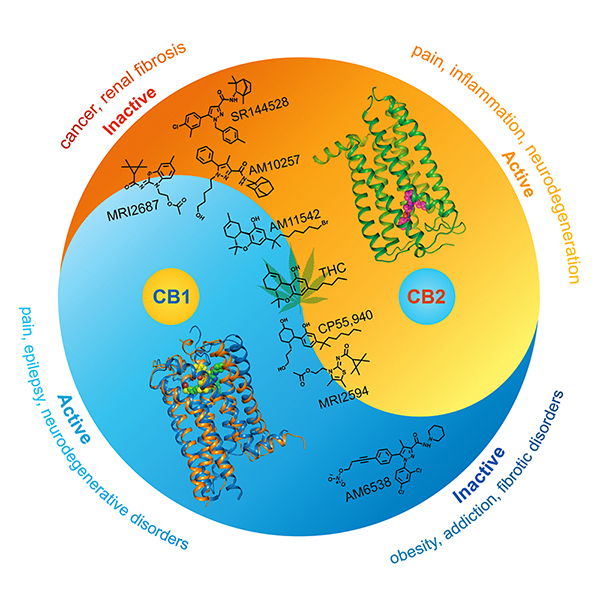 In recent years, the medicinal properties of cannabis have been more and more widely recognized and clinically applied; for example, in 2018 the European Union EMA and the United States FDA approved the new drug “Epidiolex,” with Cannabidiol (CBD) extracted from cannabis as the major active ingredient, to treat children’s epilepsy. Other co-authors of this paper are Wu Yiran,Wu Lijie,Qu Lu,Wang Jingjing,Wu Meng and Zhao Suwen from ShanghaiTech University; Kiran Vemuri, Othman Benchama, Nikolai Zvonok and Alexandros Makriyannis from Northeastern University; Jo-Hao Ho, K’ara Locke, Laura M. Bohn from Scripps Research, Florida; Malliga R. Iyer, Resat Cinar, Nathan J. Coffey and George Kunos from National Institute on Alcohol Abuse and Alcoholism, NIH; Gye Won Han and Vsevolod Katritch from University of Southern California; and Petr Popov from Moscow Institute of Physics and Technology. 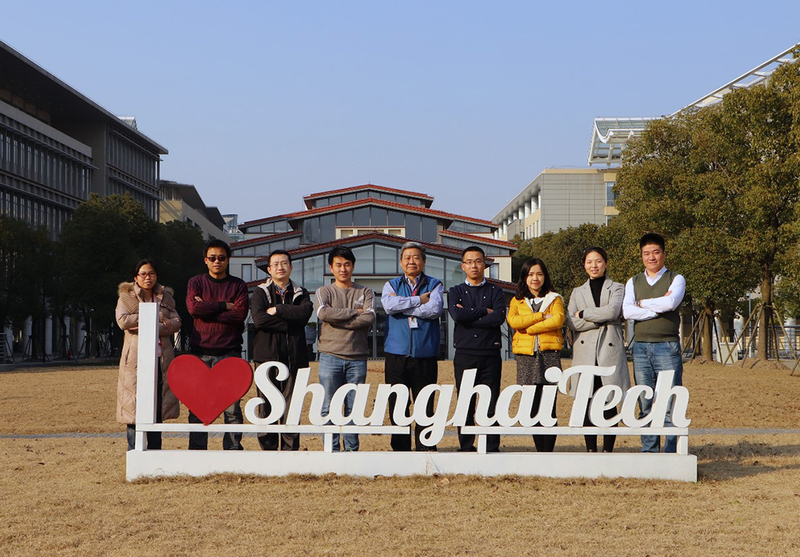 Financial support for this work came from National Natural Science Foundation of China, Ministry of Science and Technology of China, Shanghai Municipal Government, and ShanghaiTech University. 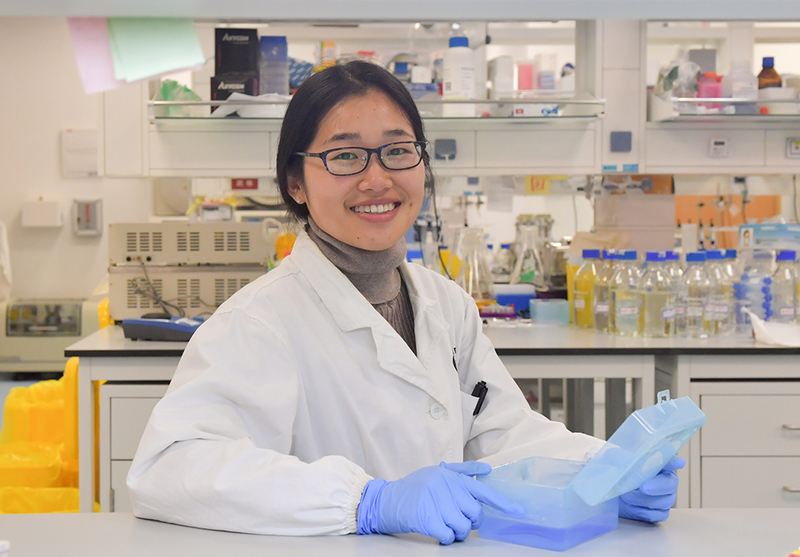 Mycobacterial genomes encode a membrane protein named MmpL3, which is deemed essential for the replication and viability of bacterial cells. MmpL3 belongs to the Resistance, Nodulation and Division (RND) protein superfamily, which are driven by the proton motive force (PMF). Particularly for Mycobacterium tuberculosis, MmpL3 is responsible for the translocation of the precursor of mycolic acids (a special chemical compound) from their production site in the cytoplasm to periplasmic space, where they can be further processed. Mycolic acids are key components of mycobacterial cell wall and essential for mycobacterial growth, rendering the bilayer impermeable to many antibiotics. Hence inactivation of the MmpL3 transporter inhibits the pivotal step of the synthetic pathway of the mycolic acids. Thus, it is an ideal target for developing novel anti-tubercular drugs. 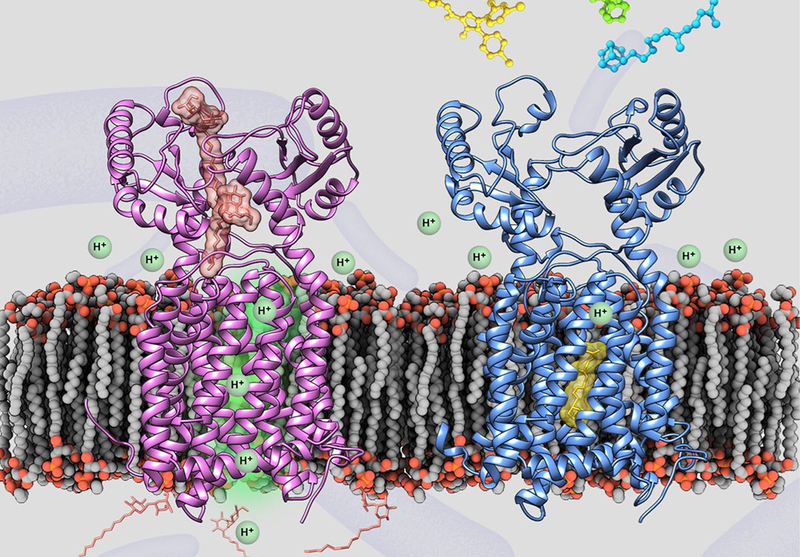 Although several compounds have been developed as MmpL3 inhibitors, its structural data for MmpL3 has remained elusive, preventing the development of more potent nnti-tuberculosis drugs.